Is that in 'The Bored Room'? TBT says he's been to Bein Meetings that started like that... MOL! These are so funny every week. Heehee! We knew woofies aren't very smart! I notice dere R no kittehs, MOL! 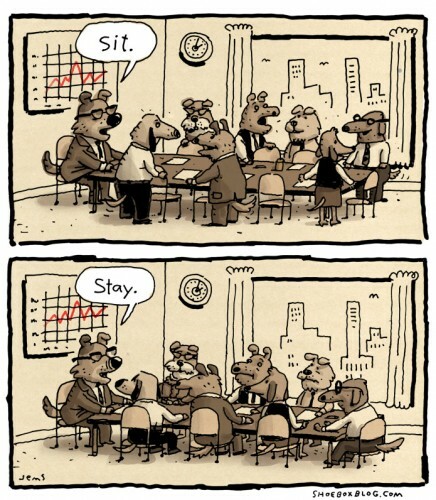 We would not (a) Sit (b) Stay or (c) attend a meeting in the first place.